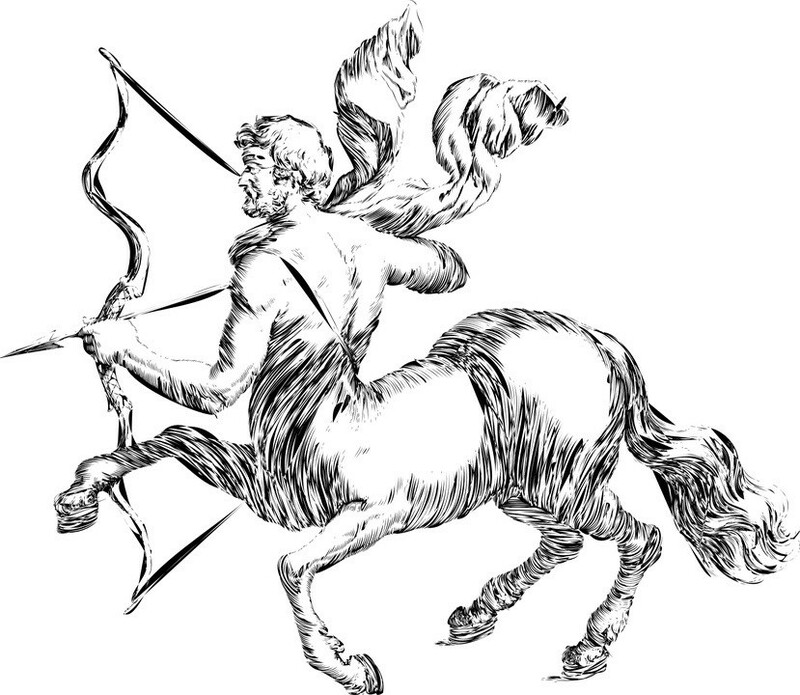 SAGITTARIUS (Nov. 22-Dec. 21): "You have two ways to live your life," writes spiritual teacher Joseph Vitale, "from memory or inspiration." In other words, you can take your cues about how to live your life from what happened in the past, or else you can make your decisions based on what you're excited to do and become in the future. According to my analysis, the next ten months will be an excellent time for you to fully embrace the latter approach. And it all starts now. CAPRICORN (Dec. 22-Jan. 19): You've always got more help available than you imagine, and that's especially true these days. Both people you know and people you don't know may come to your assistance and offer extra support—especially if you meet two conditions: 1. you sincerely believe you deserve their assistance and support; 2. you clearly ask for their assistance and support. Now here's more good news about the help that's available. Whether or not you believe in spiritual beings, they, too, are primed to offer blessings and resources. If you don't believe in their existence, I invite you to pretend you do and see what happens. If you do believe in them, formulate clear requests for what you'd like them to offer you. AQUARIUS (Jan. 20-Feb. 18): In one of his poems, Arthur Rimbaud extolled the exquisite evenings when the mist soaked his face as he strolled, and he sipped that heavenly dew till he was drunk. Was he speaking literally or metaphorically? Probably both, if I know Rimbaud. Anyway, Aquarius, I'd love for you to engage in similar exploits. What are some natural adventures that might intoxicate you? What simple pleasures may alter your consciousness, nudging you free of its habits? Meditate with sweet abandon on how to free yourself through the power of play and the imagination. PISCES (Feb. 19-March 20): It's illegal to hunt animals in Kenya. But members of the Dorobo tribe circumvent the law to provide food for their families. As three or more Dorobo men wander out on the savanna, they wait for hungry lions to kill a wildebeest or other creature. Then they stride toward the feasting beasts in a calm show of force until the predators run away in confusion. The brave scavengers swoop in and swiftly remove a portion of the wildebeest, then coolly walk away, leaving plenty for the lions when they return to their meal. I bring this scene to your attention, Pisces, because I suspect that in the coming weeks you will have similar levels of courage and poise as you go after what you want. ARIES (March 21-April 19): In his autobiography On the Move, neurologist Oliver Sacks praised his friend Jerry's curiosity and knowledge. "Jerry has one of the most spacious, thoughtful minds I have ever encountered, with a vast base of knowledge of every sort," wrote Sacks, "but it is a base under continual questioning and scrutiny." So willing was Jerry to question and re-evaluate his own assumptions that Sacks said he had "seen his friend suddenly stop in mid-sentence and say, 'I no longer believe what I was about to say.'" 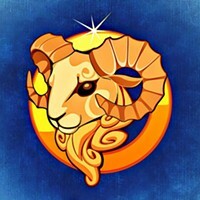 That's the gold standard to which I hope you will aspire in the coming weeks, Aries. As bright and articulate as you'll be, you will have an even higher calling to expand your mind through continual questioning. TAURUS (April 20-May 20): In recent years, a few pioneers have gotten microchips implanted under their skin. These technological marvels enable them to open doors and turn on lights with merely a wave of their hands, or receive up-to-the-minute readings on what's transpiring inside their bodies. Now an additional frontier has arisen: people using do-it-yourself kits to experiment on their own DNA. For example, some have tweaked their genes so their bodies create more muscle than is natural. I would love for you to change yourself around in the coming weeks, Taurus, but not in these particular ways. I'd rather see you do subtle psychological and spiritual work. The astrological omens suggest it's a favorable time for focused self-transformation. GEMINI (May 21-June 20): Are you smart enough to take advantage of the fact that your best relationships would benefit from bursts of innovative energy in the coming weeks? Are you brave enough to banish the ghost that still haunts your romantic life? Do you have the moxie to explore frontiers with collaborators who play fair and know how to have fun? Will you summon the curiosity and initiative to learn new strategies about how to enhance your approach to intimacy? I'll answer those questions in your behalf: yes, yes, yes, and yes. CANCER (June 21-July 22): Would you agree with me that there are both boring, tiresome problems and fun, interesting problems? If so, read on. According to my analysis of the astrological omens, you're at a fork in your path where you could either get further involved with a boring, tiresome problem or else a fun, interesting one. (I think you'll have to engage with one or the other.) Of course, I'm rooting for you to proactively wrangle with the fun, interesting one. Here's timely inspiration from Cancerian author John W. Gardner: "We are continually faced with a series of great opportunities brilliantly disguised as insoluble problems." LEO (July 23-Aug. 22): The Jharia Coalfield in eastern India is a 110-square-mile reserve of underground coal. In some places, it's on fire, and has been burning for over a hundred years. This isn't a good thing. It's wasteful and causes pollution. But now I'll ask you to put aside that scenario, and imagine a more benevolent kind of steadily burning fire: a splendor in your soul that never stops radiating warmth and light; that draws from an inexhaustible source of fuel; that is a constant source of strength and courage and power. I'm happy to tell you that the coming months will be a favorable time to establish and nurture this eternal flame. VIRGO (Aug. 23-Sept. 22): Marilyn Monroe, Georgia O'Keeffe, and President Franklin Roosevelt were direct descendants of the pilgrims who sailed from England to the New World on the famous Mayflower ship in 1620. I, on the other hand, am a direct descendant of a nineteenth-century Slovakian coal miner who toiled in the underground darkness. What about you, Virgo? Now would be a rich and provocative time to reconnect with your roots; to remember where your people originated; to explore the heritage that served as the matrix from which you sprouted. LIBRA (Sept. 23-Oct. 22): According to researchers who study animal behavior at two Italian universities, chickens can do arithmetic. The birds don't even need to be trained; the skill seems to be innate. (Read details here: tinyurl.com/ChickensDoMath.) I'm wondering whether chickens born under the sign of Libra might even be able to do algebra in the coming weeks. 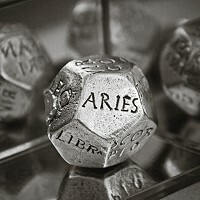 According to my assessment of the astrological omens, the mental acuity of many Libran creatures will be at a peak. How will you use your enhanced intelligence? SCORPIO (Oct. 23-Nov. 21): In March 2005, far more people than usual won big money in a regional Powerball lottery in the U.S. The average for each draw is four winners, but on this special occasion, 110 players were awarded at least $100,000 and as much as $500,000. The reason for the anomaly seemed to have been an oracle that appeared in a number of widely distributed fortune cookies. It provided five of the six winning numbers. Inspired by this crazy stroke of good fortune, and in accordance with the favorable financial omens now coming to bear on you, I hereby offer you six numbers to use as your lucky charms. Will they help you win a game of chance? I can't be sure. At the very least, they will titillate and massage the part of your psyche that is magnetic to wealth. Here they are: 37. 16. 58. 62. 82. 91. Homework: How could you change yourself in order to get more of the love you want? 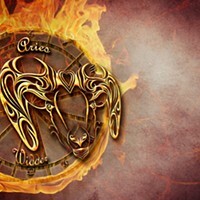 Go to FreeWillAstrology.com; click on "Email Rob."